Your initial evaluation appointment will be an hour long. Your following appointments will be 30 minutes up to an hour which is decided by both you and your therapist. Our front desk staff will work with you to make sure we are able to set up your most ideal schedule for coming to see us. Depending on your diagnosis, treatment usually starts out more aggressively and then tapers off to fewer appointments. You may start out with up to 3 appointments a week, taper down to twice a week and then progress to once a week until you are ready to be discharged with an at home plan. How quick can I get in? UBE Physical Therapy can typically get you in within the week you call. If we are unable to do so, we guarantee you a spot in the week following. Who is responsible for the contact with my physician? Your Physical Therapist will be in contact with your physician. We will actively communicate the progress as well as provide evaluations and progress notes throughout treatment so your physician can assess your need for more therapy or decide if you have reached your optimal ability. We provide physical therapy services for a variety of diagnoses including musculoskeletal disorders, balance and dizziness disorders, work injury prevention and rehabilitation. We are a clinical physical therapy practice that ‘specializes in helping patients feel better’, as such you can expect direct attention of your physical therapist as we focus on your problem. We don’t just put patients on the machines and forget about them. 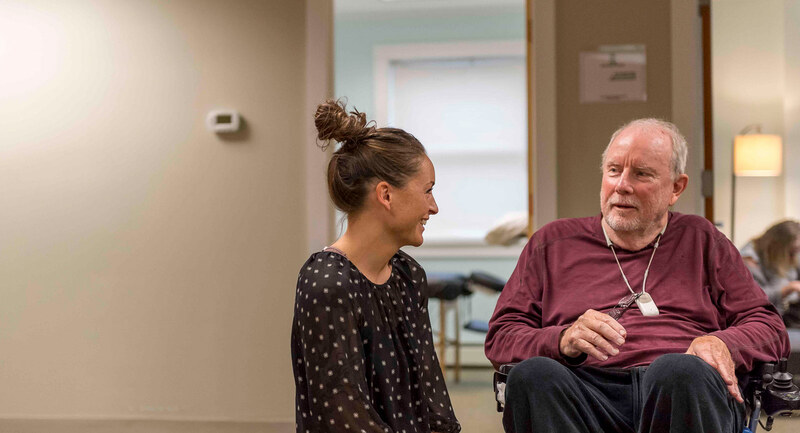 The therapist will provide some home exercises to perform during the course of treatment in order to keep recovery moving in a positive direction. During the course of a patient’s care, the therapist will evaluate frequently and may continually adjust the treatment plan in order to challenge the patient and improve their condition. We will also periodically ask patients to fill out functional outcomes survey inquiring about their performance of many different activities in order to keep track of progress with everyday tasks. We work to keep a clear picture of progress to recovery.